Man Struck, Killed By His Own Vehicle on Highway Ramp in Canton, Mass. 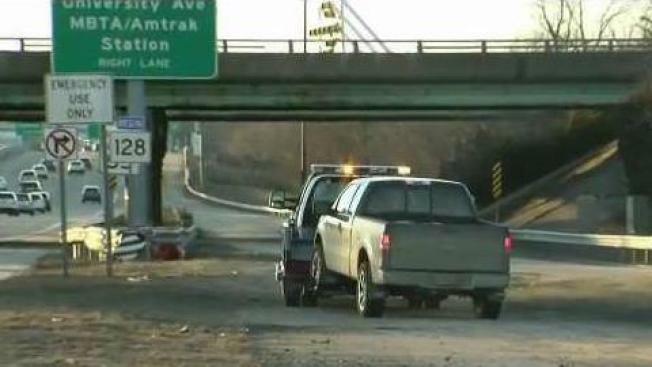 A man has died after being struck by his own vehicle on a highway ramp in Canton, Massachusetts State Police say. The fatal crash happened on the I-95 northbound ramp that connects to Route 128 north. For reasons still under investigation, state police say a 72-year-old man stopped and exited his 2006 Ford F-150. He was subsequently struck and fatally injured by his truck. The man's identity is being withheld pending family notification. State police closed the ramp following the incident and said traffic delays should be expected. The circumstances surrounding the crash are under investigation with assistance from the state police collision analysis and reconstruction section and crime scene services section.